The SiteW Video block has been improved: the video gamers and video game fans that want to create a game website, have the possibility to add a Twitch channel to their gaming website! 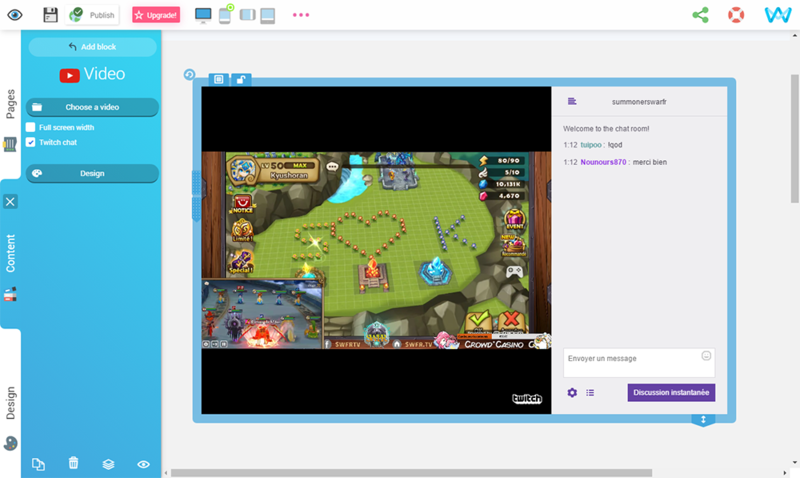 Whether you are an advanced player or just a weekend player, with the new Twitch feature, you will be able to create a game website and stream video games. Twitch is a streaming service dedicated to video games: it allows all players to broadcast their video games live and to share them with other players on their gaming website. How to add a Twitch channel to your SiteW website? The Video block will automatically create the Twitch channel. You have the possibility to enable/disable the chat function on your Twitch channel. You can thus choose to interact with your visitors or no. To do so, select your Video block and in the blue panel on the left, check or uncheck the proper box. 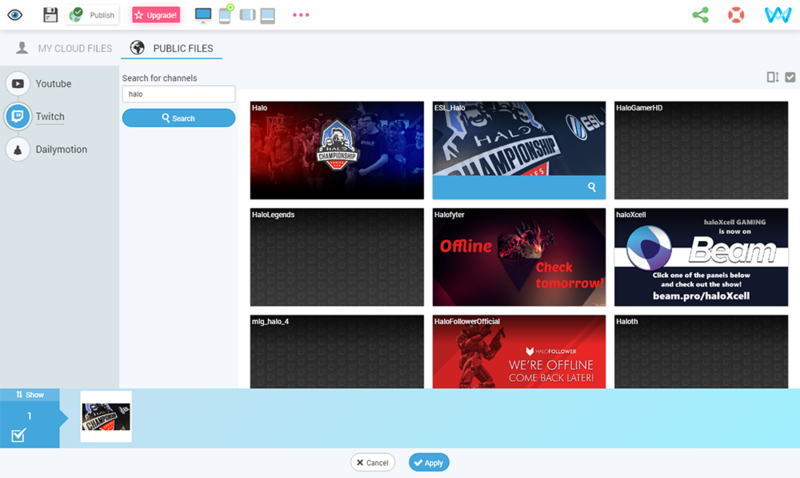 SiteW offers the possibility to add a Twitch channel to your gaming website to stream your video games: don’t wait any longer and create your video game website!